As part of the GoodCook Blogger Outreach Program, I was afforded the opportunity to work with the ProFreshionals Cut Fruit Bowl. When the box arrived on my doorstep, I was pleasantly surprised by the size of this bowl. It's huge! I could use this bowl to make enough fruit salad to feed a small army. What makes this bowl so special? 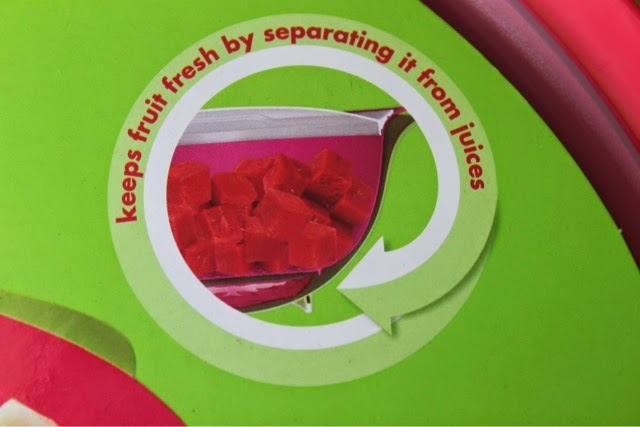 As you know, when fruit is cut and refrigerated, it gives off a lot of juice that can make for a soggy fruit salad. 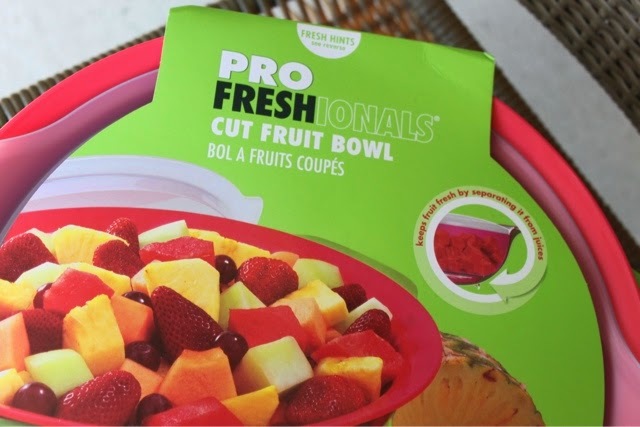 The ProFreshionals Cut Fruit Bowl takes care of that situation. How does it do that? 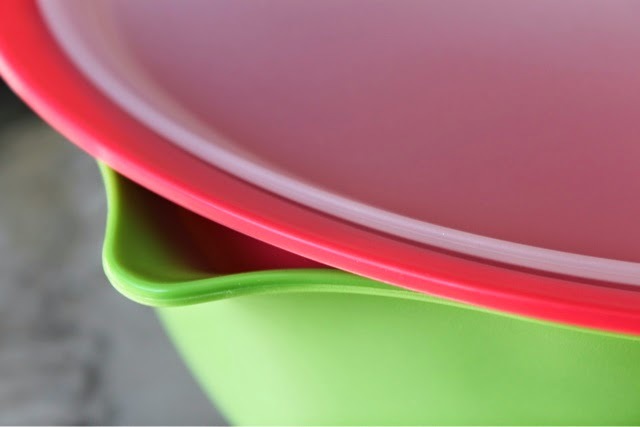 The bowl has three parts: a lid, an inner bowl that acts as a colander, and an outer bowl with a spout that catches excess juices and allows you to easily discard the juice or save it in another container. In addition to being a functional bowl, it's also cheerful looking. 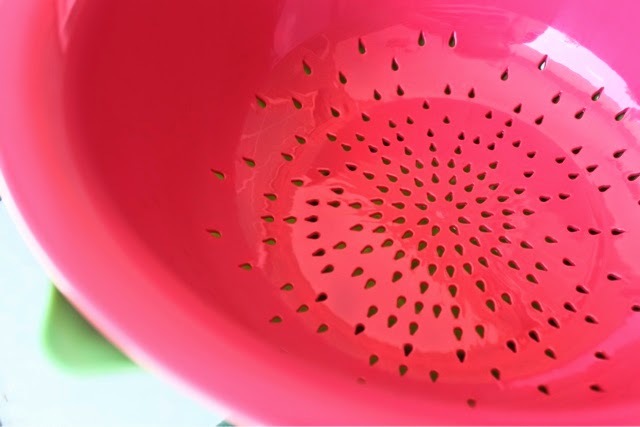 With the green outer bowl and the bright pink inner bowl with seed-shaped openings, the bowl reminds me of a watermelon. It just makes me happy to look at it. I think it's pretty enough to use as a serving bowl. 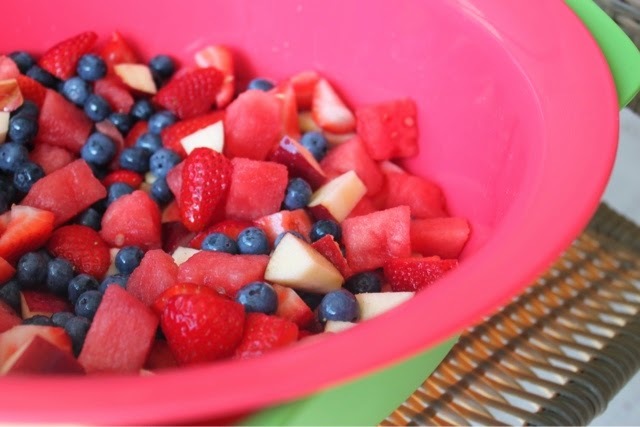 With the upcoming 4th of July weekend, I was inspired to create this Red, White, and Blue Fruit Salad. 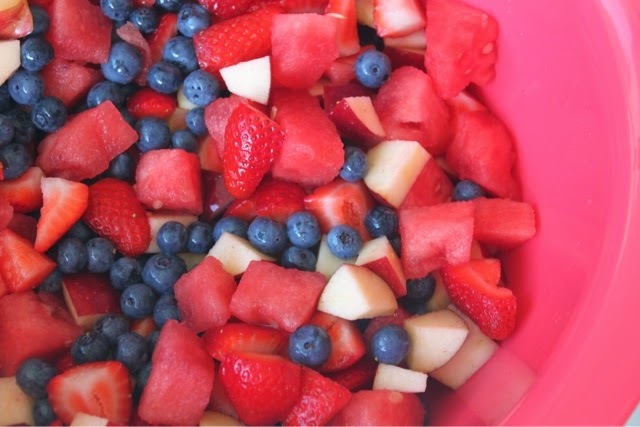 Combine equal amounts of the above fruits in a large bowl. Gently stir with a serving spoon. Refrigerate overnight to bring out natural sweetness of berries. Disclaimer: GoodCook provided me this product for review as part of the GoodCook Blogger Outreach Program. The opinion expressed here is my own.